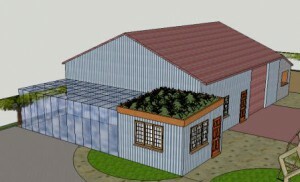 The existing nursery office will be retrofitted according to LEED (Leadership in Energy and Environmental Design) standards. From the LEED web site: “The LEED green building certification program encourages and accelerates global adoption of sustainable green building and development practices through a suite of rating systems that recognize projects that implement strategies for better environmental and health performance. “LEED is a third-party certification program and the nationally accepted benchmark for the design, construction and operation of high-performance green buildings. LEED promotes a whole-building approach to sustainability by recognizing performance in five key areas of human and environmental health: sustainable site development, water savings, energy efficiency, materials selection and indoor environmental quality.” The existing retail office next to the native plant nursery area is made of sustainable cordwood. 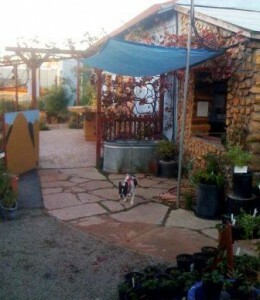 ELSEE is sponsored by the California Native Garden Foundation (CNGF).